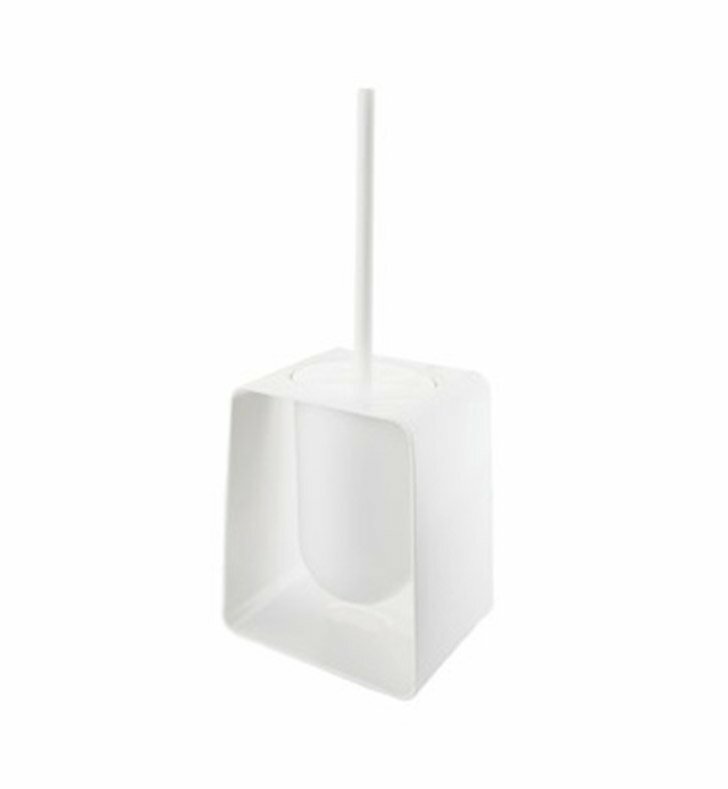 A utilitarian floor standing toilet bowl brush & holder made in the highest quality thermoplastic resins and finished with white. This toilet bowl brush set from the Gedy Zenith collection is a contemporary-style toilet cleaning brush. Made in and imported from Italy. Works well in your high-end master bathroom.